Europe’s energy and climate chief sought to reassure Iran’s top ministers on Saturday (19 May) that the European Union wants to keep trade open despite the US withdrawal from the nuclear deal. Miguel Arias Cañete, European Commissioner for energy and climate, met with five top Iranian ministers over two days, including the Islamic Republic’s nuclear chief, oil minister and foreign minister. EU leaders have united behind the 2015 accord, with Brussels considering banning EU-based firms from complying with the sanctions that President Donald Trump has reimposed and urging governments to make money transfers to Iran’s central bank to avoid fines. But EU officials admit there is a limit to what they can do to parry sanctions as a wave of European companies quit business with Tehran, fearing the global reach of US sanctions. “There is no magic wand beyond trying to offer Iran a bit of reassurance,” a senior EU official involved in Iran talks told Reuters. The mission led by Cañete is a symbolic gesture to urge Iran’s leadership to stick to the nuclear deal and shore up support for the relatively moderate President Hassan Rouhani against hardliners looking to constrain his ability to open up to the West, EU officials said. “The mission is very important to us because it shows the EU’s determination to stand by its commitment,” a senior Iranian official said. 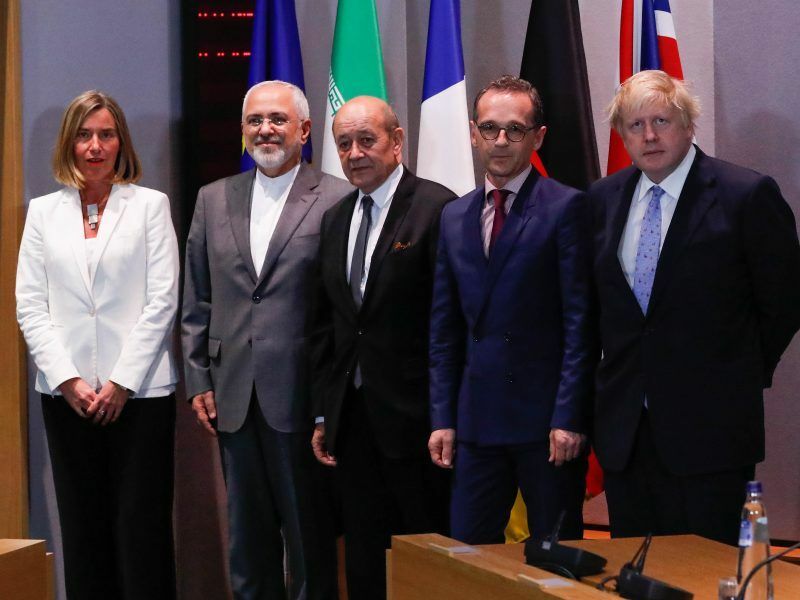 Europe sees the pact, limiting Iran’s nuclear activities in exchange for the relaxation of economic sanctions, as vital for international security. Trump denounced it as “the worst deal ever” for failing to curb Iran’s separate ballistic missile programme and its influence in Syria, Yemen, Iraq and Lebanon. 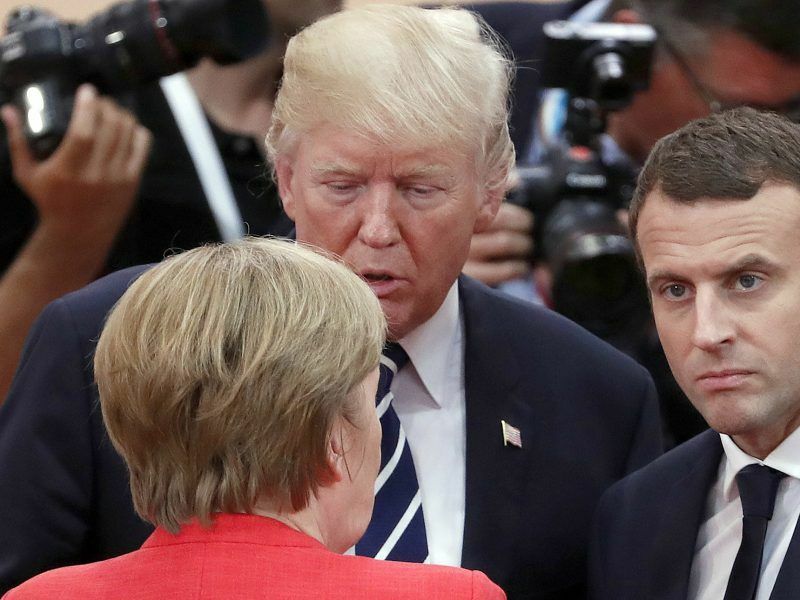 In the aftermath of Donald Trump’s announcement to withdraw from the landmark deal curbing Iran’s nuclear programme, the leaders of Britain, France and Germany who signed the agreement published a joint statement, saying they will continue to stick by it. With the reimposition of US sanctions threatening the accord’s economic payoff for Tehran, EU diplomats worry they will lose what little sway they have in the Islamic Republic. 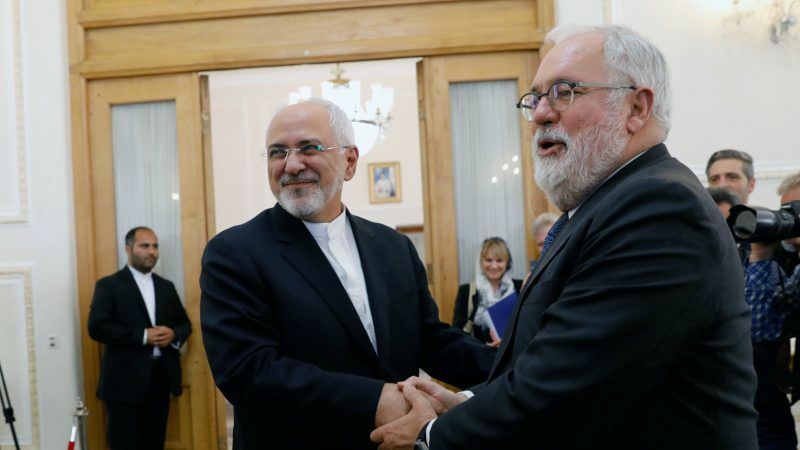 Cañete raised with Tehran the possibility of EU governments bypassing the US financial system by making direct payments to Iran for oil exports and to repatriate Iranian funds in Europe – though the move will be up to member states. In other efforts to shield European firms, the EU’s “blocking statute” would ban EU companies from complying with US sanctions and does not recognise any court rulings that enforce American penalties. The EU is also seeking to allow the European Investment Bank to do business in Iran and to scale up euro-denominated credit lines from EU states. But some big names are already heading for the door. 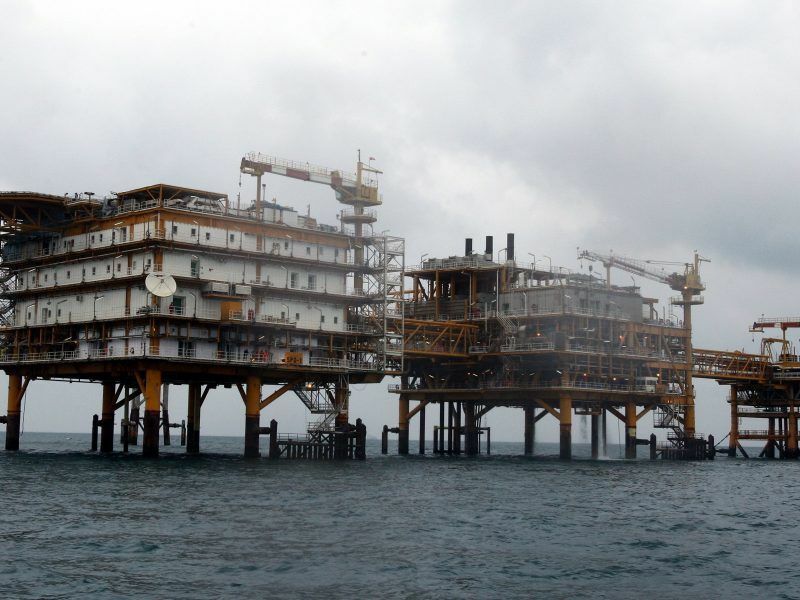 French energy group Total said it may quit a multi-billion-dollar gas project that Tehran had repeatedly hailed as a symbol of the nuclear accord’s success. French energy giant Total joined other European companies in signalling on Wednesday (16 May) they could exit Iran, casting doubt on whether European leaders meeting to try to salvage the Iran nuclear deal can safeguard trade with Tehran. The first sanctions to snap back into place are limits on Iranian oil exports that choked off more than half of Iran’s oil exports after 2012 – largely due to European and Asian buyers cutting back. “One of the big factors for how the Iranians will react is what oil importers will do and how well the energy system can cope,” another EU official said. 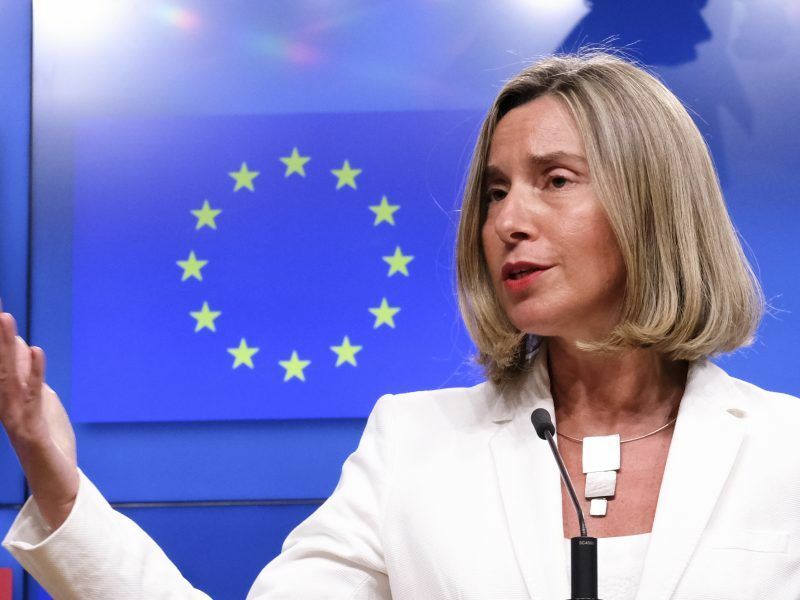 The EU’s foreign policy chief warned Monday (21 May) there was “no alternative” to the Iran nuclear deal, after US Secretary of State Mike Pompeo vowed unprecedented sanctions against Tehran following Washington’s withdrawal from the pact.